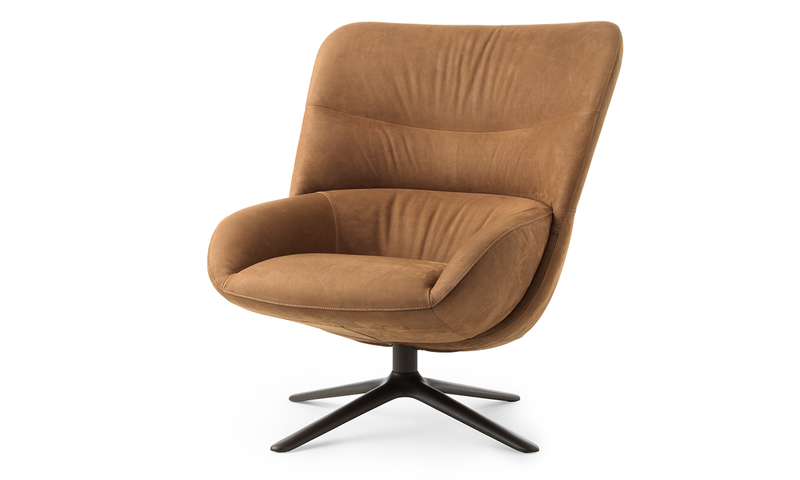 Logic and simplicity are the basic principles of the Hilco lounge armchair. The design, in which the shells of the seat and back are pushed together, clearly reveal the construction of this high-comfort armchair. The curvature of the back offers users exactly the right level of support, making Hilco an excellent choice. The armchair was developed to minimise its CO2 footprint. From design and product development to materials and production: everything originates in the vicinity of the Leolux factory. This particularly applies to the “Hilco Prime” version, where even the upholstery is local. The Corus leather originates from Limburg Limousin cattle. This provides a stunning, natural leather that is biodegradable, chrome-free and traceable. Design from our own pastures.